Launch Alert! 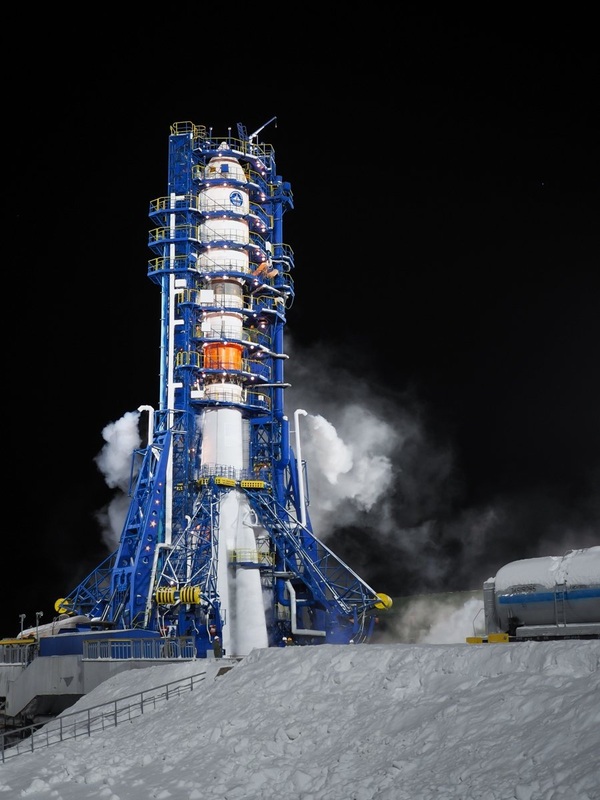 Friday, December 2, 2017 at 10:30 UTC (05:30 EST) a Soyuz 2-1B will lift off from Pad 4/Site 43 at Russia’s Plesetsk Cosmodrome carrying the Lotos Spy Satellite. 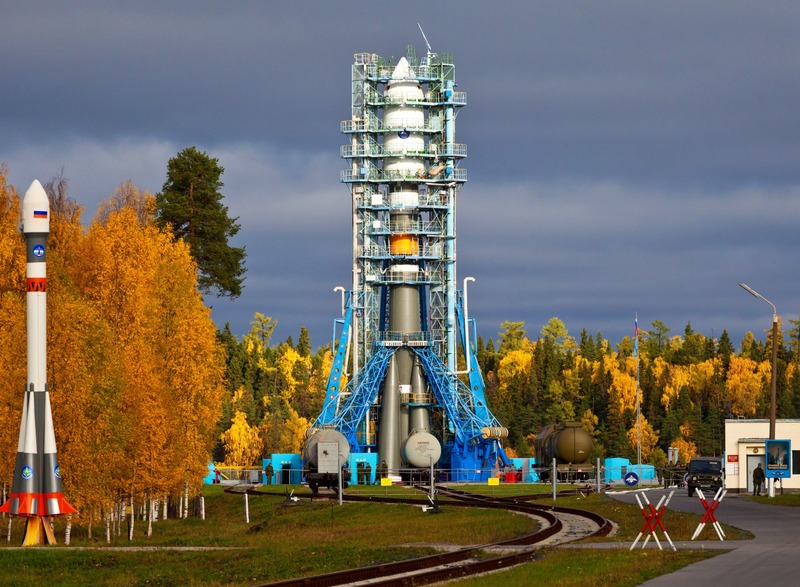 Plesetsk Cosmodrome: Plesetsk Cosmodrome is one of Russia’s “Big 3” cosmodrome’s along with the legendary Baikounr and the new Vostochny. It’s located in Mirny, Arkhangelsk Oblast, about 800 km (497 mi.) north of Moscow and its history dates back to 1957 as an R-7 Intercontinental Ballistic Missile (ICBM) site. 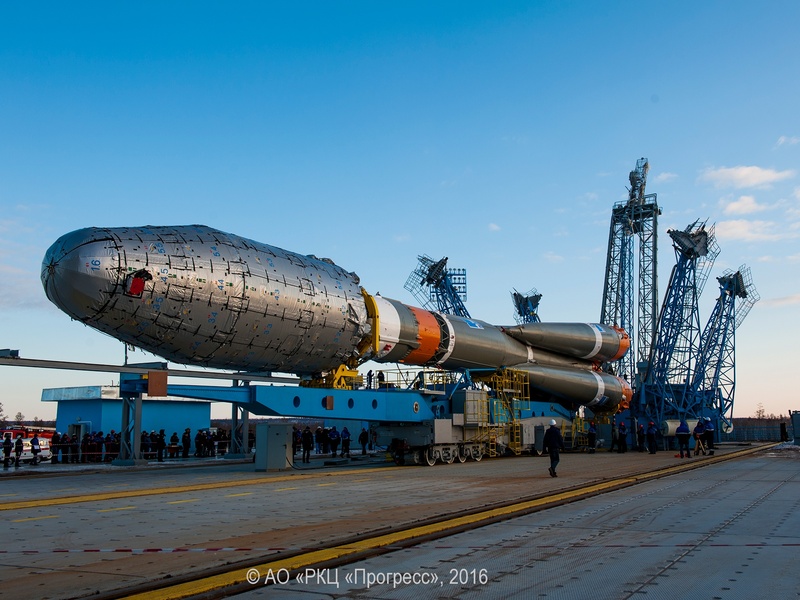 TsSKB-Progress, Soyuz 2-1B (Soyuz ST) Rocket (14A14 or 131KS): The TsSKB-Progress, Soyuz 2-1B rocket is a three stage, medium lift launch vehicle, whose history stretches all the way back to 1957. 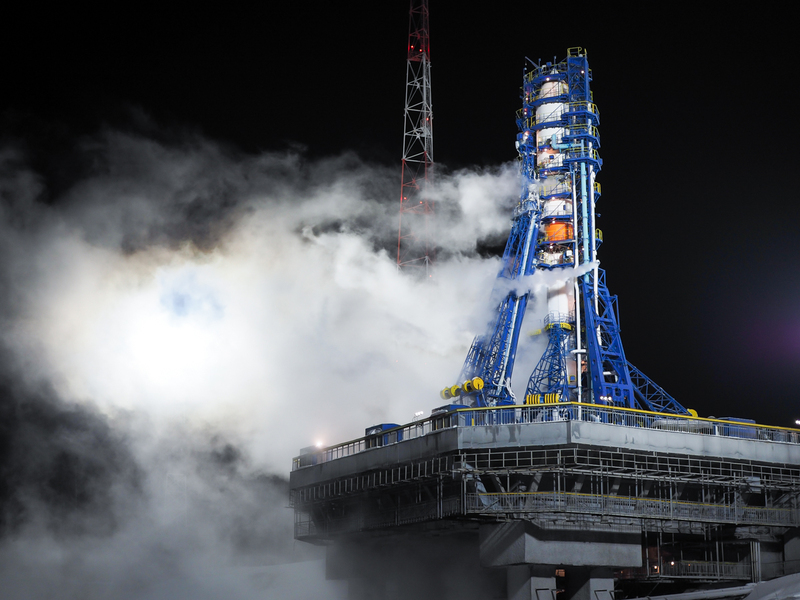 It stands 46.2 m. (152 ft.) tall with a diameter of 2.95 m (9 ft. 8 in) and 10.3 m. (34 ft.) at its base and currently launches from four different launch sites (Baikonur, Plesetsk, Vostochny and Kourou). The Soyuz 2-1B is very similar to previous Soyuz family launchers however with its upgraded control system (digital from analog) it has become more flexible than ever while the Soyuz 2 launcher family as a whole will eventually phase out the Soyuz U and FG launchers. Payload Fairing: Soyuz’s payload fairing is a two-shell protective enclosure 11.4 m (37 f. 5 in.) in length, 4.11 m (13 f. 6 in.) in diameter and protects the spacecraft during launch and the turbulence of ascent before being jettisoned. Fregat Upper Stage: The Fregat upper stage is 1.5 m (4 ft. 11 in.) 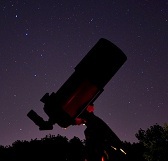 in length with a diameter of 3.35 m (11 ft.). Its single S5.92 turbopump engine uses unsymmetrical dimethylhydrazine (UDMH) as fuel and nitrogen tetroxide (N2O4) as an oxidizer, delivering 19.85 kN (4,600 lb.) of thrust in a vacuum and a burn time of 1,000 seconds and can be restarted 20 times in flight. The S5-92 engine has a chamber pressure of 6.85 to 9.8 MPa and a specific impulse of 331 s in a vacuum. Second Stage (ST-B) (often called the 3rd Stage): ST-B stage is 6.75 m (22 ft.) in length with a diameter of 2.66 m (8 ft. 9 in.). Its single RD-0124 staged combustion, closed cycle, turbopump engine uses Rocket Propellant 1 (RP-1) as fuel and Liquid Oxygen (LOX) as an oxidizer, delivering 294 kN (67,000 lb.) of thrust in a vacuum with a burn time of 230 seconds. Chamber pressure in the RD-0124 is 162 bar and specific impulse is 359 s in a vacuum. Boosters: Soyuz launch vehicles use 4 boosters that are each 19.6 m (64 ft.) in length with a diameter of 2.68 m (8ft. 10 in.). Each of their single RD-107A, four chamber liquid fueled, gas generator engines use Rocket Propellant 1 (RP-1) as fuel and Liquid Oxygen (LOX) as an oxidizer, delivering 838.5 kN (188,500 lb.) of thrust at sea level and 1,021 kN (229,529 lb.) of thrust in a vacuum with a burn time of 120 seconds. Chamber pressure in the RD-107A is 61.2 bar and specific impulse is 263 s at sea level and 320 s in a vacuum. Core Stage (1st stage): Core stage is 27.8 m (90 ft.) in length with a diameter of 2.95 m (9 ft. 8 in.). It single RD-180A gas generator, turbopump engine uses Rocket Propellant 1 (RP-1) as fuel and Liquid Oxygen (LOX) as an oxidizer, delivering 792.5 kN (178,200 lb.) of thrust at sea level and 990 kN (222,560 lb.) of thrust in a vacuum with a burn time of 280 seconds. Chamber pressure on the RD-180A is 55.5 bar and specific impulse is 258 s at sea level and 321 s in a vacuum. Image | This entry was posted in Images, Launches, News, Spaceflight Companies & Vehicles and tagged DanSpace77, Launch, Lotos, Plesetsk Cosmodrome, Rocket, Rocket Launch, Roscosmos, Soyuz, Soyuz 2-1B, Spaceflight. Bookmark the permalink.